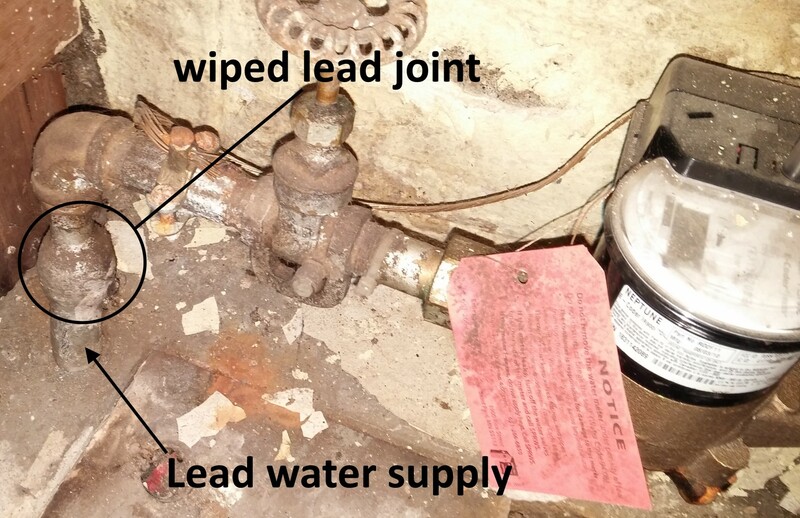 Replace the lead water lines. 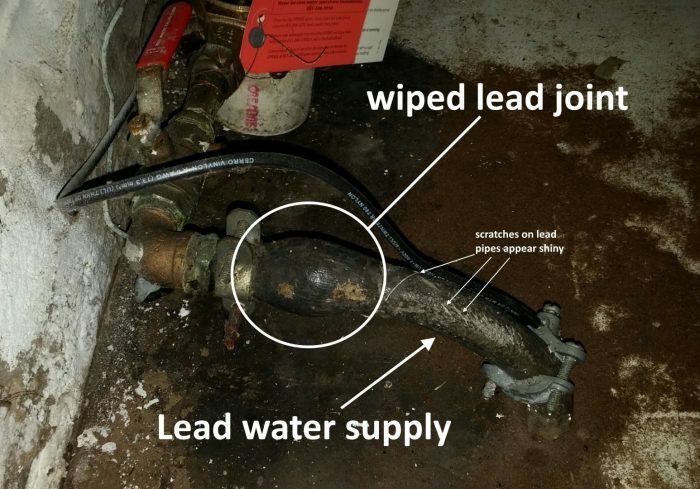 Replacing the lead water supply lines is expensive, and it’s the homeowner who pays for it, but this probably offers the highest degree of protection against lead. More on that topic here: In battle to keep lead from water, St. Paul digs deep. Don’t drink the water. If you choose to not drink the water, you’ll need to buy your water. The least expensive method would be to refill your own containers, using a service such as Primo. 1. The water quality data for every city should be publicly available (i.e., by law). The larger cities usually have this information on their web site and it can be easily found with a google search. The water is tested regularly and the data is updated regularly. 2. Lead measurements are done at the tap. This is important because even if the city produces water that is lead-free (and they always do), they must meet lead standards at the tap, which is after all of the lead piping, including premise plumbing (which the city can’t control). 3. All of the water utilities that I know in MN have always been very aggressive about corrosion control (i.e., even prior to the Flint, MI fiasco). The water utility people are very cognizant that they have older homes throughout their city. The entire Flint incident is entirely baffling because it was so easily (and cheaply) avoidable — there were about a half-dozen MAJOR mistakes made, all of which required for something incredibly stupid to have happened. 4, A really good trick to reduce any lead in your drinking water is to let the water run for ~30 seconds before collecting it for consumption. This is particularly important to do in the morning, when no one has been using water overnight (lead corrodes as particles, so stagnant water allows the particles to collect and then you get a gush of particles first thing in the morning). One of the factors in the Flint fiasco is that the water collection procedure for lead testing requires that the water run for a period of time before collecting the sample, which can lower lead measurements. You can use this to your advantage by letting your water run a little bit before collecting it for consumption. Excellent commentary, thank you Timothy.